The Boettcher Foundation invests in Boettcher Investigators as a way to support the best minds in scientific innovation. Similarly, we support the best students in Colorado with the Boettcher Scholarship. So when Boettcher Investigators and Boettcher Scholars collaborate, it’s no surprise that they achieve amazing results. By applying to participate in a “collaboration grant,”12 Boettcher Scholars had the opportunity to conduct research alongside Boettcher Investigators this past summer. Whether researching cancer therapeutics and tissue regeneration at Colorado School of Mines, working on the African Sleeping Sickness drug-discovery project at Colorado College or studying lung disease while also examining emphysema patients at National Jewish Health, Boettcher Scholars left their research internships with much more than just technical skills. 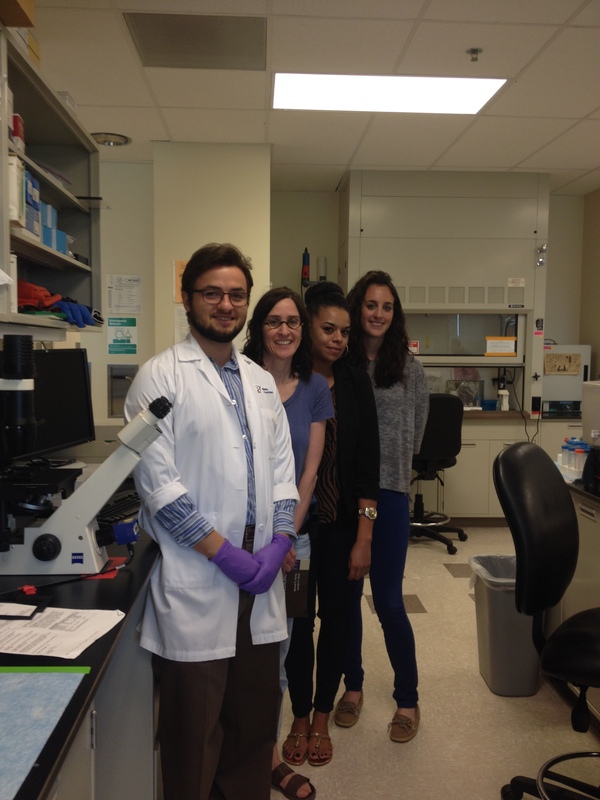 Scholar Lucas Suazo with Boettcher Investigator Rachel Zemans at her National Jewish Health research lab, 2015. “Through the collaboration, I developed my personal and scientific skills, gained access to a network that will help me immensely and kindled lasting curiosity for science and discovery,” said Andrew Pham, a 2013 Boettcher Scholar at the University of Denver. He spent the summer in Dr. Chad Pearson’s lab at University of Colorado Anschutz Campus, studying how cell structure affects various bodily functions. Last fall, Boettcher Investigators applied to the Boettcher Foundation with a collaboration grant idea. If the idea furthered research and fostered collaboration with a Boettcher Scholar, the proposal was approved and the investigator was awarded a grant to use for research supplies or as a scholar stipend. Next, Boettcher Scholars were invited to the competitive application process, which required a letter of interest and an interview. Once selected, scholars had the opportunity to gain hands-on experience in a field they plan to pursue after college. “I was not just given simple tasks–which I honestly do not mind; instead, I was allowed to completely renovate a project and bring it a step closer to publication. It was experiencing this that assured me that I have chosen the correct path as a researcher,” 2012 scholar and DU student, McKenzie Ramirez said of her experience. 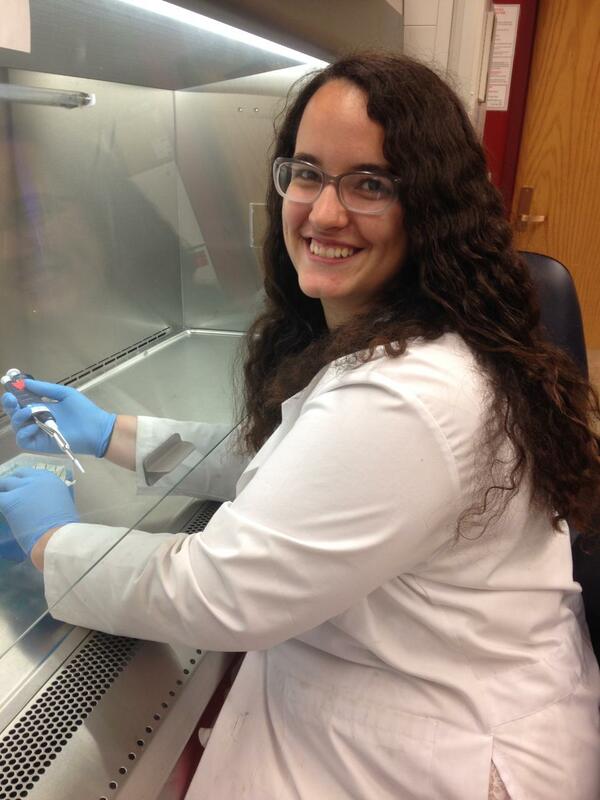 McKenzie Ramirez works in Dr. Keith Neeves’ lab, 2015. For other scholars, it solidified an interest in going to medical school, and likely gave them a leg up in the process. Typically, undergraduate students are not offered hands-on lab internships. Collaboration grants allowed participating scholars the opportunity to take their knowledge from the classroom and directly apply it to experiments like cell culturing. But it was building relationships with investigators that the scholars valued most. “The best part of the collaboration was the mentorship I received. This was completely invaluable,” Andrew said. The investigators equally enjoyed the experience of having highly-skilled Boettcher Scholars working in their labs. “The best part of a [collaboration grant] was having a hard working, thoughtful and intelligent young scientist working in my lab. She was simply remarkable,” Dr. Keith Neeves at Colorado School of Mines said. Scholar Lucas Suazo and Dr. Rachel Zemans designed and carried out an experiment examining which, if any, cellular proteins are involved in lung cells exposed to cigarette smoke at National Jewish Health. McKenzie Ramirez and Dr. Keith Neeves created a new protocol for growing endothelial cells at Colorado School of Mines. Scholar Maddie Walden and Dr. Amy Dounay, who is both a Boettcher Scholar alum and a Boettcher Investigator, designed and synthesized 21 compounds that will be tested against the parasite that causes African Sleeping Sickness. “The uniqueness of the collaboration grants is that it bridges the best students and best young investigators who are interested and able to closely mentor the students in their early career stages,” said Dr. Yao. *If you are a current scholar interested in applying to work with a Boettcher Investigator as part of a collaboration grant in 2016, email Marisa@boettcherfoundation.org to request an application and a list of proposed projects.